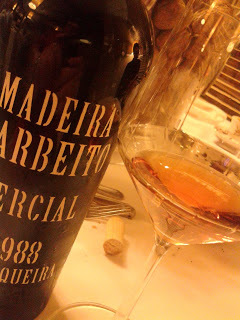 Barbeito is nowadays one of the fewest producers of Madeira wine and it’s at the same time co-shared with a japanese company. As many of you know, Barbeito usually produce Madeira wines which provide us more acidity and that’s what we can find also in this wine. Sercial’s 1988 has a deep yellow greenish color full of richness from the aromatic complexity. Dried frutis, herbs, honey, tea, resid and iodine. It’s taste is very dry and Sercial wines used to be with powerfull complexity and presistence.